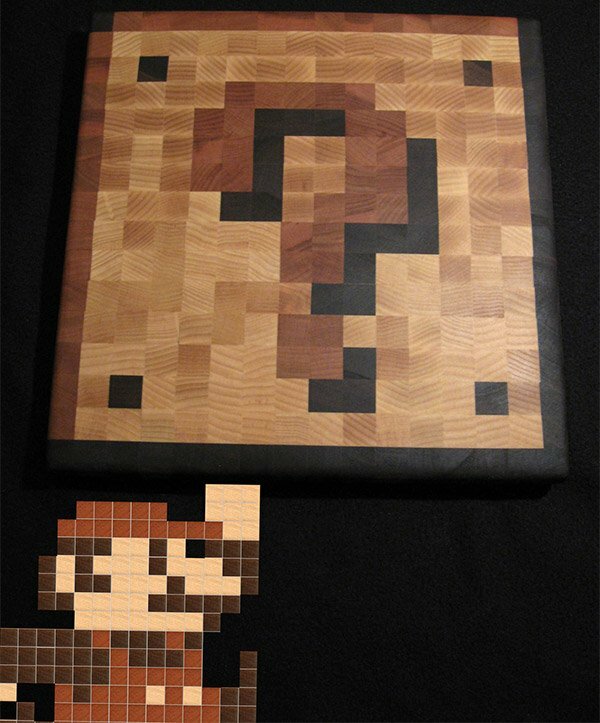 Mario fans looking for the perfect thing for their kitchens will want to grab one of these Question Mark Block cutting boards, just right for dicing and slicing any type of mushroom (or other choppable food) you can throw at it. Each cutting board is made by David Abramson using 256 individually cut strips of ash, cherry and walnut woods, glued together into a butcher block. Since each one is handmade, you’ll see slight variances in every cutting board, but that makes them just that more special in my opinion. The cutting boards measure 11-3/4″ square x 1-1/4″ thick, which should definitely hold at least a few coins or a Fire Flower. 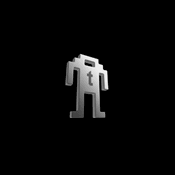 Now you didn’t hear this from me, but if you get out one of those meat pounder things and start smacking on this thing, some coins or power-ups might very well start flying out of the bottom. Or not. 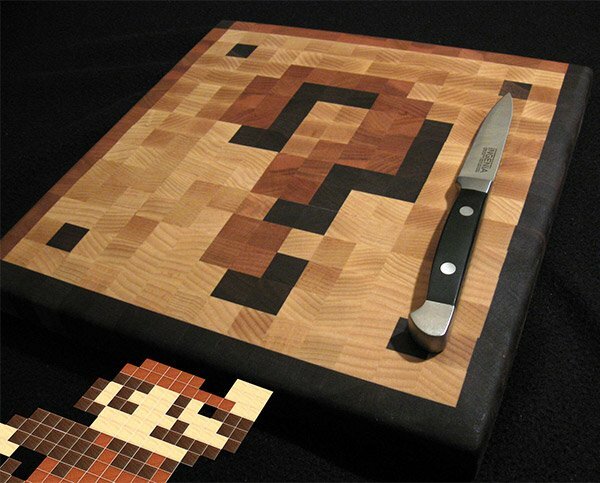 Regardless, you know you want one, and you can grab your very own Mario cutting block over at Etsy for $85(USD). Pixel art Mario is unfortunately not included.